Lash Lifting and Tinting | Advanced Laser MedSpa - Michael Salzman, M.D. Lash Lifting is a relatively new procedure that is similar to a perm for your eyelashes, preparing them to lift upward and curl. Simply lie back and relax as your certified Lash Lift esthetician/technician performs the procedure that takes approximately an hour. Here are the benefits: You may add a lash tinting to enhance the color of your eyelashes. 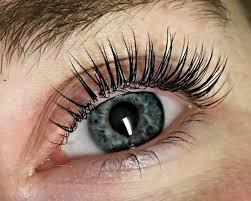 Your lifted eyelashes last 6 to eight weeks or even longer. Gentler than lash extensions and much sturdier too! Keep your natural eyelashes damage free. With your certified technician, choose your lash length. Approximate cost is. 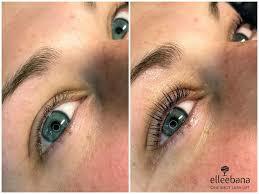 $135 Lash Lifting procedure.Tinting is $30. Always check for sale pricing or specials. What you can expect at Advanced Laser Medspa. Our certified technician will have a brief consultation and carefully examine your eyelashes. Photos and a brief history of you medications, allergies and previous usage of other products will be reviewed. We will discuss your goals and explain the procedure and provide you with written information about the procedure and determine what your goals are. After you consent, in writing, to the procedure, expect the process to take approximately 45 minutes to one hour. At the completion of the process we will also take after photos. .
Because any procedure can cause a reaction, it is important that you provide accurate information about your current medications and health history. We will not perform the procedure is you have eye allergies, a stye, chronic dry eye, watery eyes or any condition affecting your eyes or the area around your eyes. You must also remove your contact lenses. Our physician is always the final word on your safety and he will be assess possible reactions. Our physician assessment are always complimentary. Your first 24 hours of care of your Lash lifted eyelashes require tender care and avoiding water, steam, moisture and humidity. Also avoid eye make up. Always follow the advice of your certified technician.